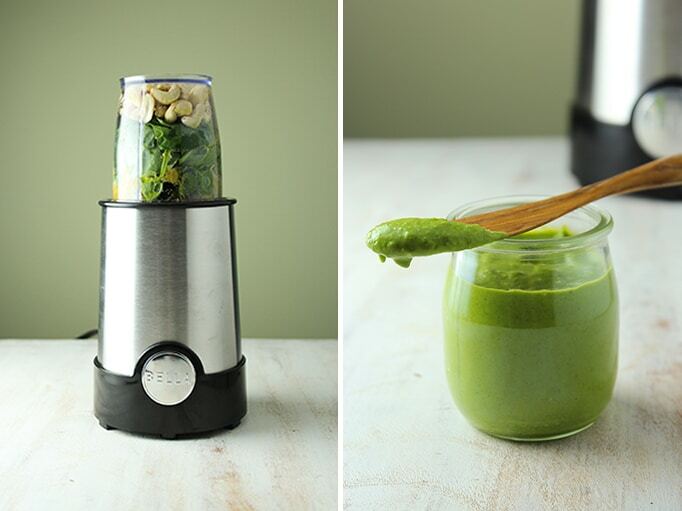 This blender pesto recipe is made with a handful of simple, vegan ingredients. Toss everything into the blender, pulse to your desired consistency, enjoy! 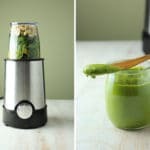 Combine all ingredients in blender and pulse to get it started, then blend until smooth or to desired consistency. where’s the basil in this recipe? ?